We have getting rid of pests down pat. Bugs and insects are more than just a nuisance or inconvenience. They can actually cause major damage to your house or business—and even your health. At Patriot Pest, we understand the potential dangers an infestation can bring. That’s why our driving purpose is to eliminate pests—flying, crawling, or burrowing—from your business or home. 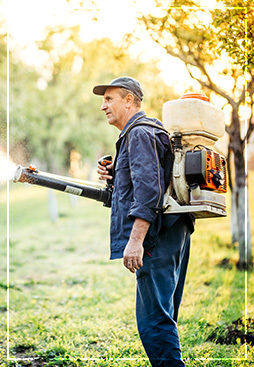 We are a full-service, upstate pest control company that offers a wide variety of pest control and extermination services, along with unmatched customer service. In fact, each of our employees prides themselves on responsiveness and service—from the phone operator to the expert technicians out in the field. We are committed to exceeding your expectations with quality pest control solutions—at a fair price—with a personal guarantee of customer satisfaction. We keep pests where they belong–out of your house. Bugs and pests can enter your home and take up residence without you knowing it. They can work their way into the most remote and unlikely places. They can be anywhere. And because of that, Patriot Pest checks everywhere. Our pest control inspections include inspection of the kitchen cabinets, bathrooms, laundry room, garages, all window and doorframes, the crawl space, attic and exterior of the residence. During these inspections we report insect activity and the locations found. We inspect for roaches, ants, spiders, camel crickets, mice, rats, fire ants, pantry pests, wasps, yellow jackets, fleas, ticks, carpenter ants, carpenter bees, millipedes, centipedes, earwigs and other insects that may want to make your home their own. Our quarterly pest control service includes an interior, attic, crawl space and exterior treatment on the first visit with exterior service only quarterly unless you are having a problem inside. Should a problem arise between the quarterly services we will come back for FREE. For more information or to schedule an appointment, contact us online or by phone today.